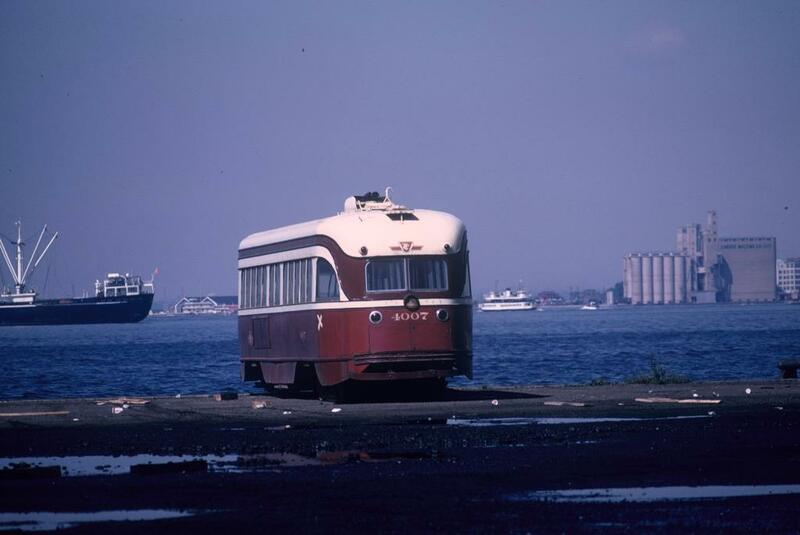 With all the discussion of waterfront transit, many people may forget (or never have seen) a previous visit of streetcars to the water’s edge. 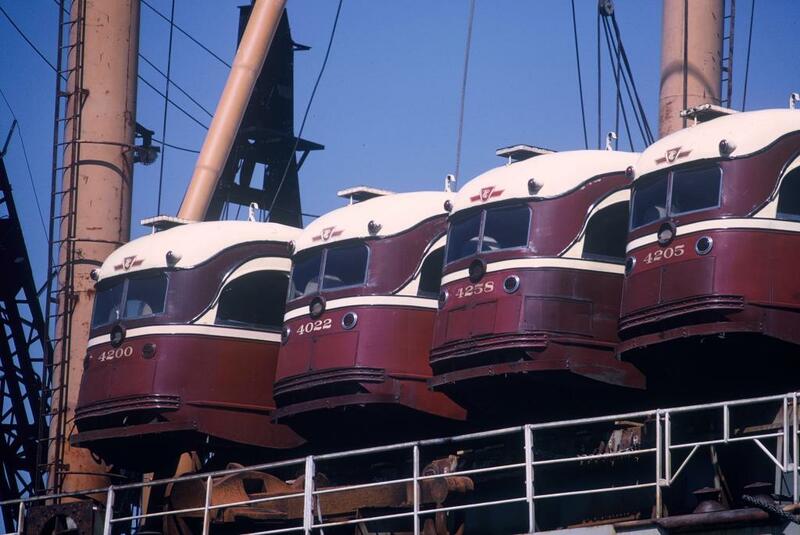 Back in 1968, the TTC sold many of the PCC cars retired after the Bloor-Danforth Subway opened, and a batch of these went to Egypt. On July 20, 1968, a much younger version of your faithful scribe was there along with many others to record the event. All photos here were taken by me and I reserve copyright in them. 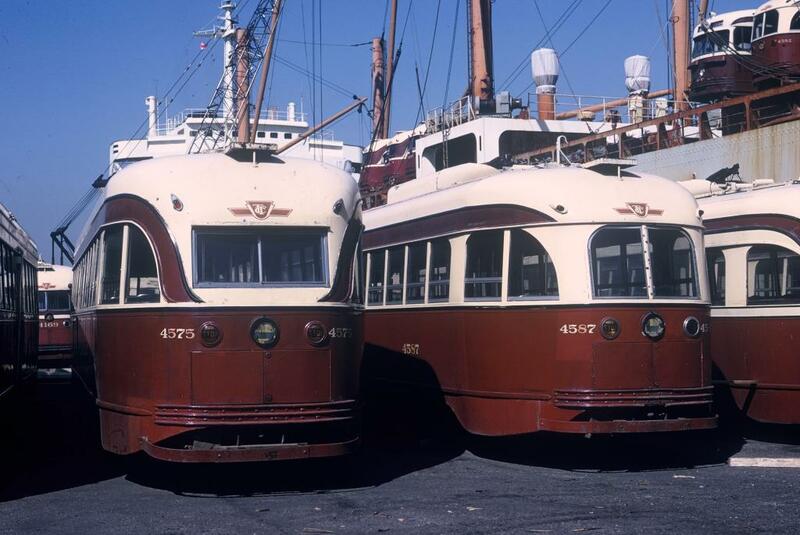 Sitting on the dock, here are two ex-Cincinnati PCCs including TTC 4575, a 1939-built demonstration car for Cincinnati. This car had many oddities including windows, marker lights and some interior features as befits a one-of vehicle. 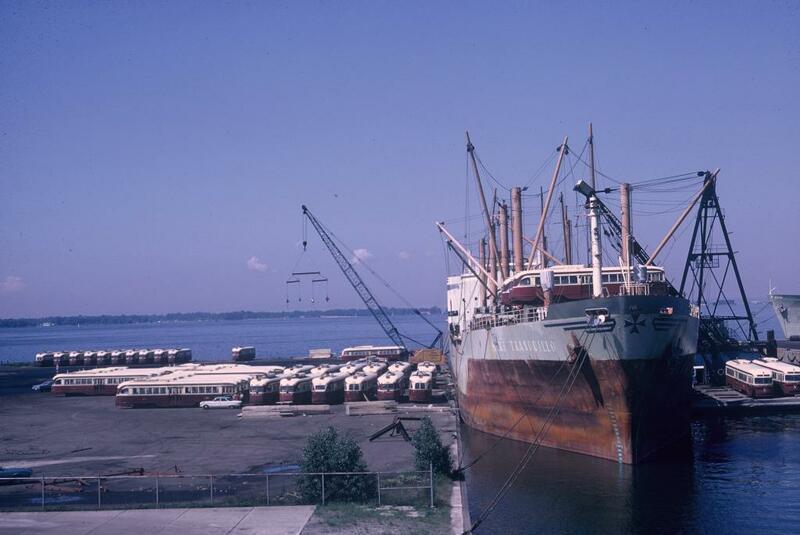 Cars were loaded from both sides of the ship, the Mare Tranquillo. 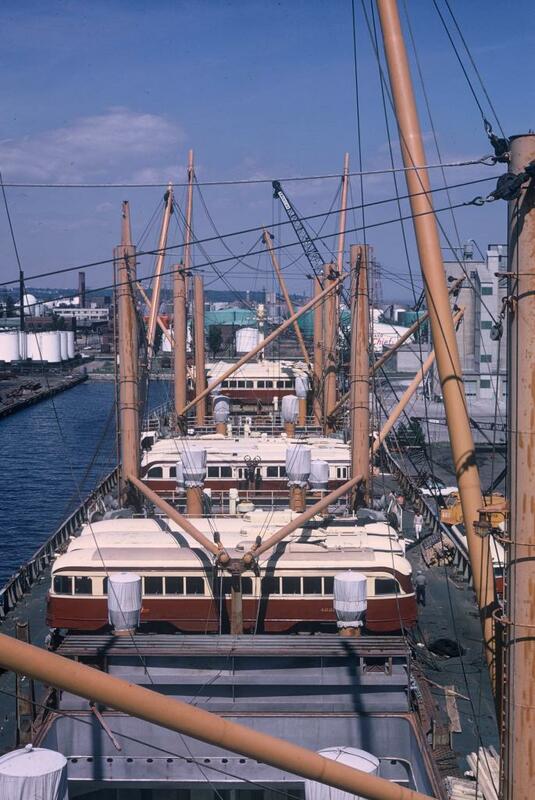 Here, 4217 joins its mate 4222 on deck. A short turn destination right to the end! A group of cars begins their sea voyage from a lighter. The railfans have obviously been busy with destination and route combinations that were already obsolete when these photos were taken. 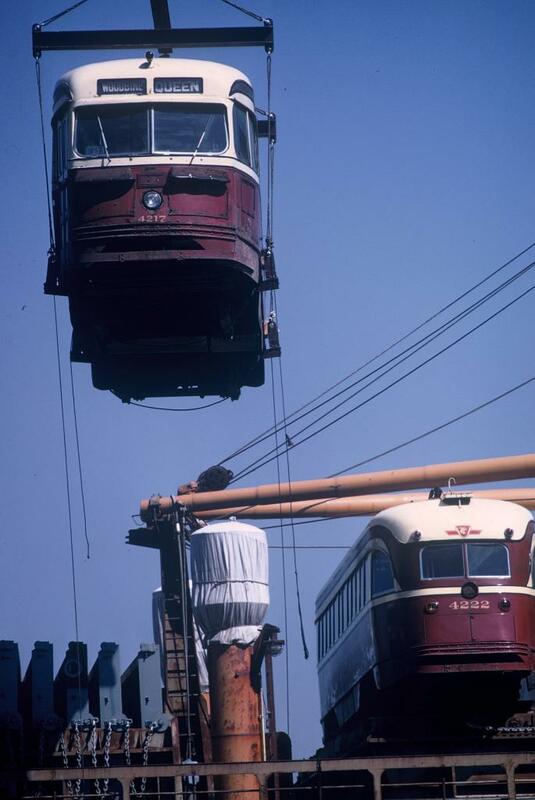 Parliament and Harbord vanished with the opening of the BD subway in 1966, and Dupont was a casualty of the University line in 1963. 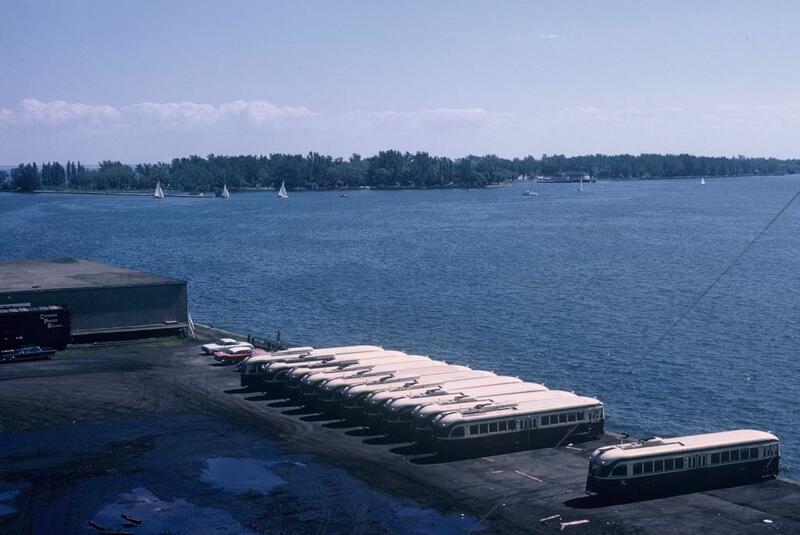 A quartet of cars sits on deck seen from the dock. Looking out from the bridge to the Toronto Islands. 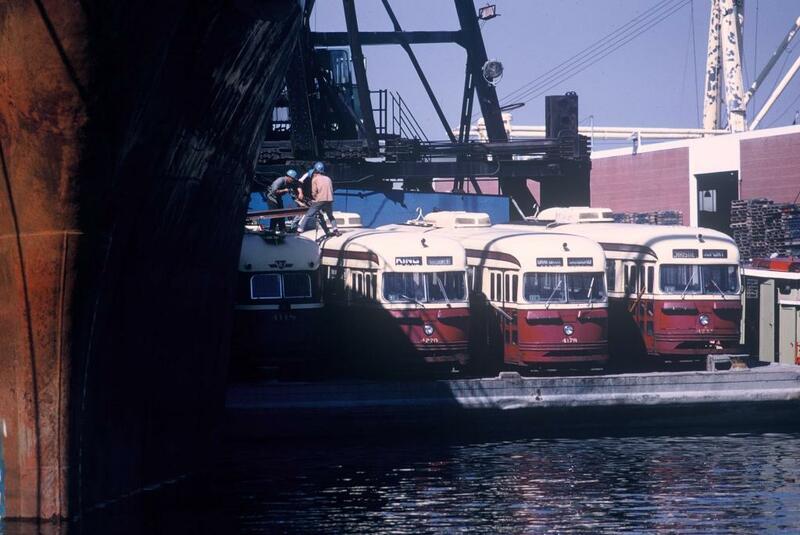 4007, one of Toronto’s first PCCs, meets the Island Ferry for the last time.